You are here: Home / Buyers / What is homestead exemption? If you’re a homeowner, chances are you’ve heard of a homestead exemption. Do you know what it means and how to apply? We’ll attempt to answer that question in a simple way and point you in the right direction. A homestead exemption is a way for homeowners to get a reduction of taxes for the value of a home, which in turn lowers property taxes. This reduction will last the entirety of the time you are in a home, accepting some extreme circumstances, until you apply for exemption at another location. In the state of Texas, you can only have one homestead. The first step is filling out the homestead exemption tax forms. These forms are available online at the Taylor County Appraisal District’s website or at the Central Appraisal District tax office. You simply need to fill out the form, give them a form of identification, such as a driver’s license or military I.D., and a bill with the address and your name, such as a utility bill. Below is the mapped location of the Taylor County Central Appraisal District office. You need to file these forms, provide your identification and the bill between January and April of the year following the purchase of your home. That means if you bought a home between January 1, 2015 and December 31, 2015, you should definitely go apply before April 2016. One important thing you should always look for is an exemption from the previous owner. If the previous homeowner had filed for homestead exemption, then their filing will carry over for the year you move in. That means you’ll get a property tax reduction on that home during the year you moved in and will simply have to file for your own the following year. While you’re there, be sure to see if there are any other tax exemptions that might apply. Some examples of additional exemptions are disability exemptions or if you’re over 65. You never know what you could save. 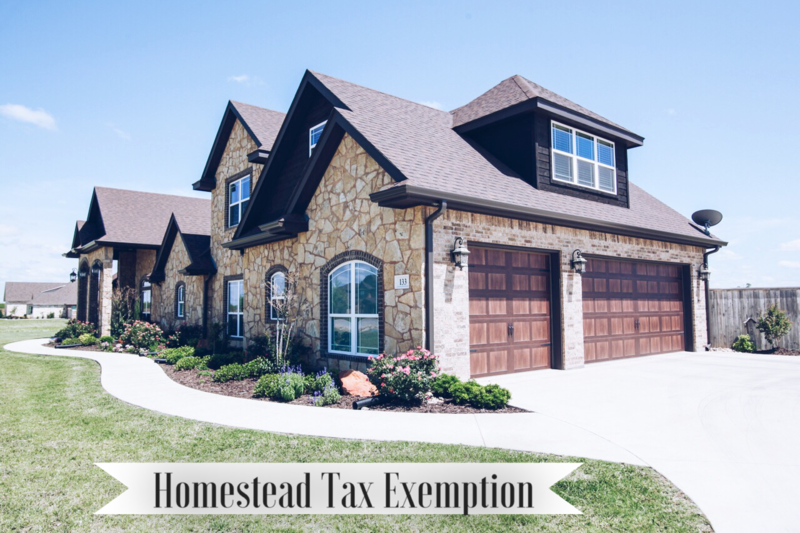 For more questions regarding homestead exemption, visit the Texas Comptroller’s website.